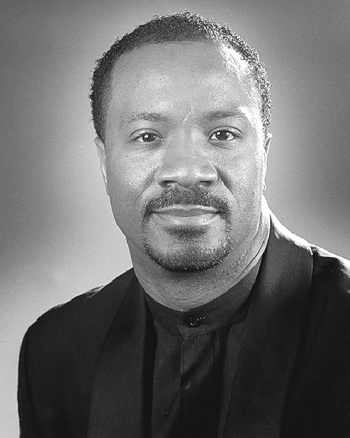 †Derek Campbell (1963–2004) is best known for leading ensemble performances around the country. He was a gifted singer and composer who appeared on liturgical music recordings for OCP and GIA. Best known as the artistic director of Roberts’ Revival, †Derek Campbell (1963–2004) led ensemble performances around the country and was a gifted singer and composer himself. He appearing on a number of liturgical music recordings for OCP and GIA, including The Coming by Leon C. Roberts. Derek was the director of music for St. Martin’s Catholic Church in Washington, D.C., the music coordinator for Georgetown University Campus Ministry and the director of Georgetown University’s Gospel Choir. He also served as adjunct professor of voice and choral conducting and as the conductor of the Chorale at the University of the District of Columbia. Derek received his bachelor’s and master’s degrees in music from Howard University and was in the process of pursuing a doctorate in this field. Derek passed away on August 30, 2004.